An Interdisciplinary Research Symposium, organized by the University Research Coordination Office in cooperation with the Civil, Chemical, and Manufacturing Engineering and Management Departments, on “STRUCTURAL STABILITY AND DURABILITY OF FERROCEMENT GARBAGE DISPOSAL BARGE” was held on December 11, 2012 at the Yuchengco Building. 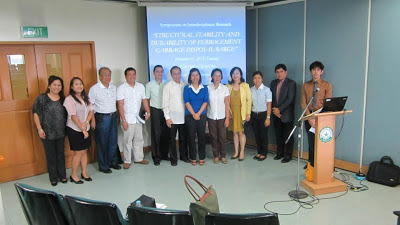 The main proponent for this interdisciplinary research is Engr. 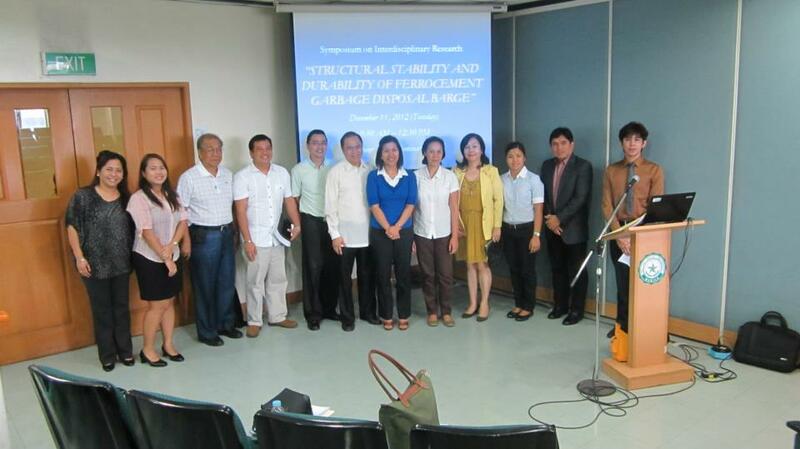 Ronaldo Gallardo (CE) and the co-proponents are Dr. Susan Gallardo (ChE), Dr. Nilo Bugtai (MEM), Engr. Cheryl Lyne C. Roxas (CE) and Engr. Irene Olivia Ubay-Anongphouth (CE). 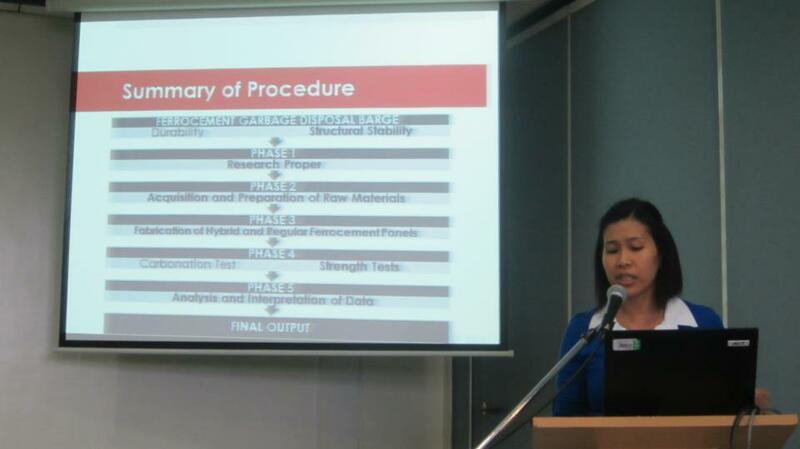 The “Waste Analysis and Characterization Study” was presented by Engr. 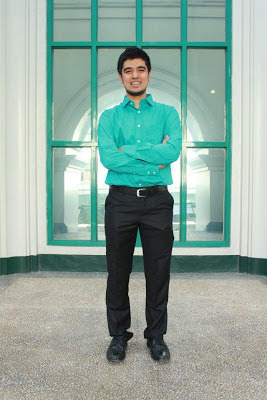 Norway Pangan, a Ph.D Directed Research student. 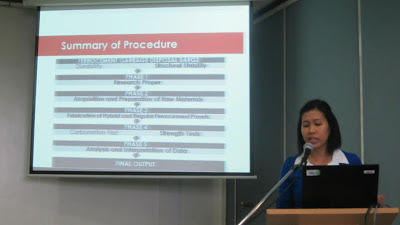 The “Structural Stability of Ferrocement Disposal Barge” was presented by Engr. Ubay-Anongphouth while Engr. 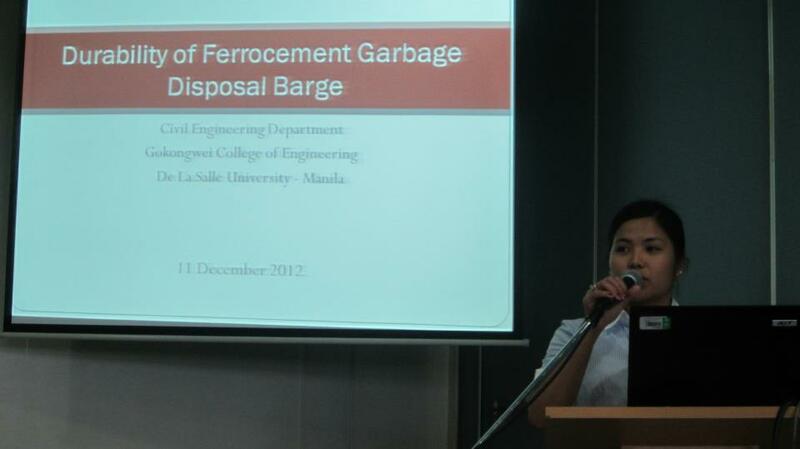 Roxas discussed the “Durability of Ferrocement Disposal Barge”. Dr. Mario de Leon of the Civil Engineering Department and Engr. Renato Ubay, Chairman of the Board and President of Alcantara – Ubay Co., Inc., served as discussants during the symposium. ﻿The solid waste disposal problem of Metro Manila has received significant attention over the last decade and waste generation has increased by almost 50%. Conventional waste disposal methods proved to be inadequate while advanced methods used in other countries are too expensive for the Philippines to maintain. In addition, these disposal methods compromise the environment and human health, prompting the need for a more effective and sustainable method of permanent garbage disposal. 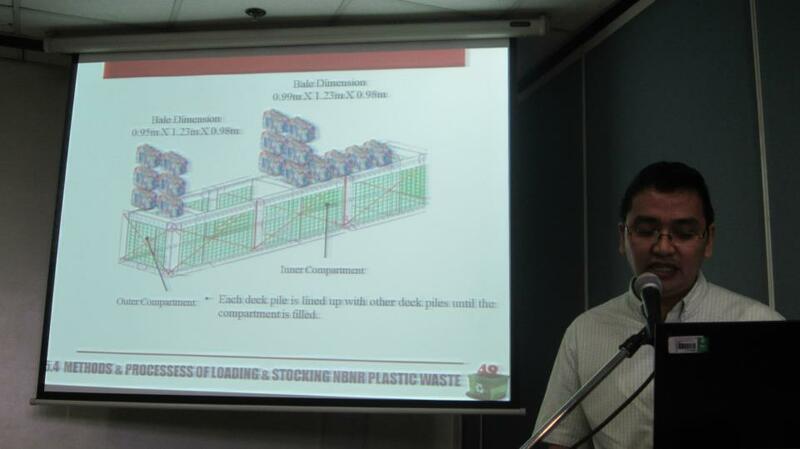 A proposed solution to the given dilemma is the construction of a Ferrocement barge that would incorporate non-biodegradable and non-recyclable solid wastes in the structure. The symposium did not only serve as a venue for presenting the research outputs but also a venue for the exchange of ideas among different sectors of the society. CES Prexy is PICE's 2012 MOCES! 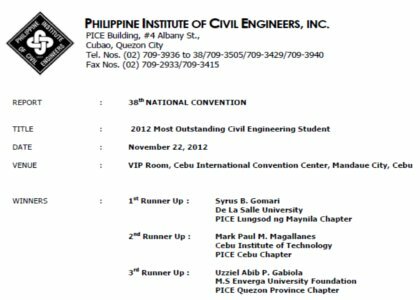 From 18 accepted participants from all over the Philippines, the PICE-MOCES 2012 screening committee cut down the participants to the Top 6 Most Outstanding Civil Engineering Students. And from the Top 6, Syrus B. Gomari from De La Salle University - Manila was declared the WINNER (1st Place) as this year's Most Outstanding Civil Engineering Student of the Philippines. Contents of the Essay/Expressed willingness to present the Essay (15%) :-Topic: "HOW SUSTAINABLE IS INFRASTRUCTURE DEVELOPMENT IN THE PHILIPPINES?" After the awarding on Thursday, November 22, 2012, Gomari presented his essay on November 24, 2012 during the 15th National Civil Engineering Students' Conference. His essay focused on the development the country needs in our Water Resources, Transportation Systems, andindividual contributions as normal citizens, while maintaining our progress in the Construction Industry.